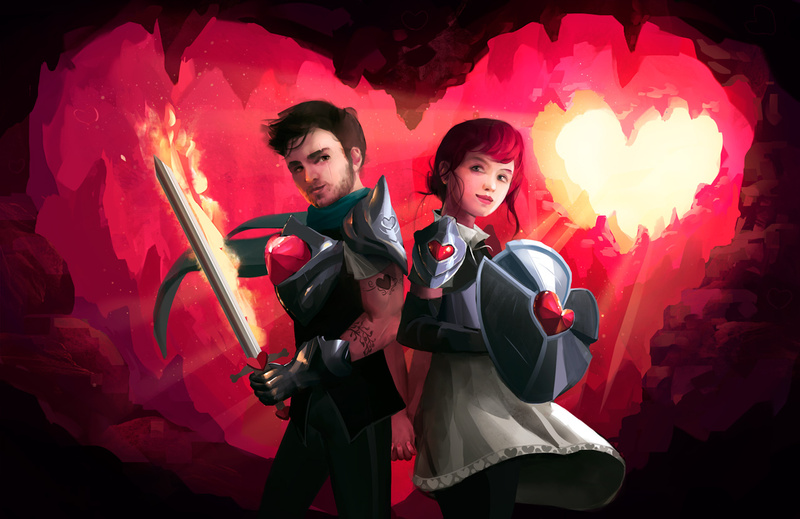 Roguemance is a roguelite with romance. You fight enemies with your partner, but sometimes you fight your partner too. Or you cheat on them by taking someone else with you. Then you break up. Relationships are like that. Fight enemies, date partners, kiss, cheat, break up, netflix and "chill", love. Please reply if you want to keep up with development or have any feedback! You can follow me on twitter too. Thanks! The idea for Roguemance came after I was struggling with another idea (roman senator simulator) that wasn't going anywhere. In my personal life, I was trying to be more in tune with my feelings. So I wrote in my sketchbook: "You could have a game where you match partners in battle and try to make them fight the same foe well". 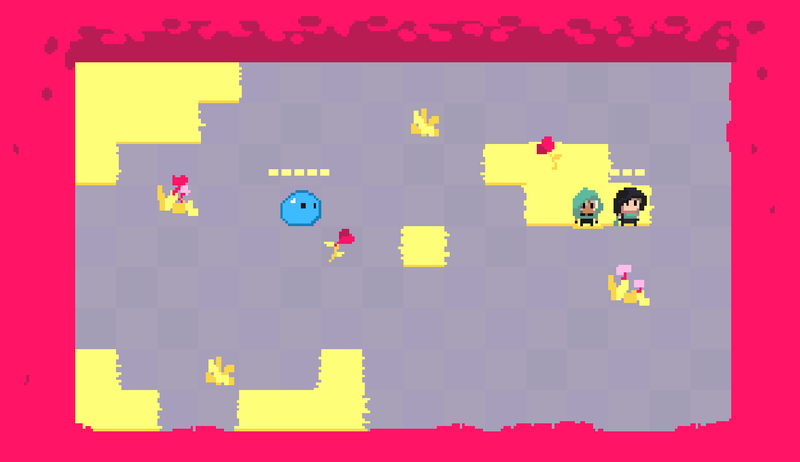 At first, I named it Roguelove (like the genre roguelike, but replacing like with love). It turns out there is a perfume by Rihanna named Rogue Love which destroys my google SEO, so I came up with Roguemance. Back to the seed idea of Roguemance, it would be a "matchmaking" sim where you play cupid with little characters. You'd have to "sync their jumps, their attack times, make sure they don't hit each other. Enemies would have different jumps and attack patterns too." The problem with this concept was that there was too much watching and too little playing. So I figured out a way to make the player make more decisions: the player is a fighter that has to cooperate with a partner. 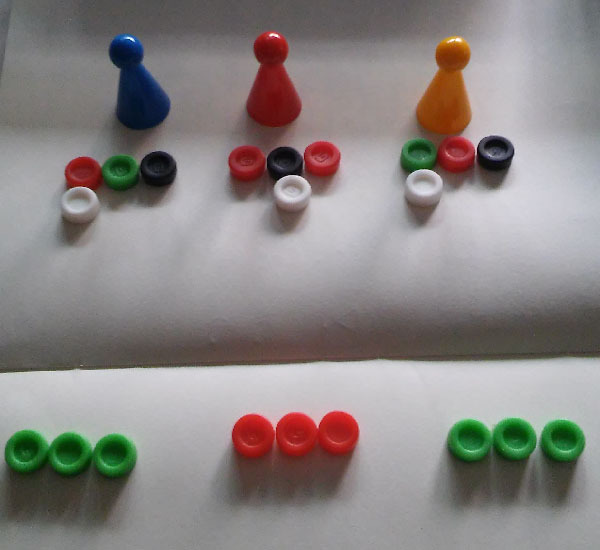 I made a paper prototype to test this combat and it turned out pretty cool. So then I ported the combat system to Construct 2. It's a kind of advanced rock-paper-scissors. I took it to a local event and I guess people liked it. So now I am continuing to develop this game, working on a map to give combat context and meaning. Today I made progress on the map. It's not procedural yet, still trying to figure out what it should look and play like. The idea is that when you meet a partner in the map, they team up with you. When you meet an enemy, combat starts. Hopefully some tension systems will make this fun. I'll post a gif tomorrow, hopefully. Honestly, I think that I prefer "Roguemance" to "Roguelove"--it flows a little better, I think. I take it that the "partner" is entirely out of player control--the player thus has to react to both the enemy and the actions of their partner? This is a pretty original idea! Love the art style, too. Looking forward to seeing what comes of this! Yeah, Roguemance ended up being a much better name. Yup, the partner's movements always follow a predetermined pattern. So you might find someone who always does attack->jump->defend and repeats, but maybe they keep attacking you instead of the enemy (because friendly fire is possible), so they're not a good match for you. Or you can adapt and live with it. I do wonder whether it will provide enough variety between combat encounters, admittedly--but then I don't yet know how your enemies behave, or the full list of potential actions for both partners and players. We'll see, I imagine! This is gonna be great. Ditto on the nice logo. As I mentioned on Twitter, this is highly intriguing. Procedurally generated relationships is genius hahahah!!! I'm all for Roguelove as well. Kidding, of course. Genius idea! Great work! I made a little progress on the map, but I'm worried I won't get to implement the "fun" in time for a local indie event on Saturday. The basics of moving around and stuff ended up taking more time than I had hoped. I think I need a more in-depth paper prototype of the map, I'll work on that after the event. I wonder the same. My hope is that a large enough variety of actions will provide a diverse possibility space. With only 3 possible actions it is already quite interesting, mostly because the actions interact with each other (for example, jumping when attacked will not only make you dodge, but cause the attack to hit the character next to you instead, while blocking will send that attack to where it came from, and if they jump it hits whoever is next to them, etc). For a while I was working on a puzzle game based on the concept of romance, but it was much more abstract than this. I like your idea and the art! The logo is very cool, although something about the lettering for "Roguemance" feels wrong. If I figure out how to articulate what it is, I'll let you know. With only 3 possible actions it is already quite interesting, mostly because the actions interact with each other (for example, jumping when attacked will not only make you dodge, but cause the attack to hit the character next to you instead, while blocking will send that attack to where it came from, and if they jump it hits whoever is next to them, etc). Another thing that occurs to me is that variety in enemy actions seems like another potential source of variety in the gameplay--especially if it encourages variation in player-tactics. The logo is very cool, although something about the lettering for "Roguemance" feels wrong. If I figure out how to articulate what it is, I'll let you know. Hmm... At a guess, is it perhaps the width of the "E"s? Looking at the logo again, they do appear to be a little thinner than the other letters. Yes, the width of the E's is registering as janky now that I see it, but it's also something to do with the secondary gray used to give depth/shadow to the letters. The inner triangles of the 'R' and 'A' don't look like they're actual holes in the 3D letters. And the place where the inner ring of the 'C' suddenly flattens looks wrong because they're no delineation of the shading colors. I'm not an artist or a visual person, and I'm very tired, so if this was utter nonsense I can clarify with screenshots. Very cool concept! I'm keen to see where this goes. Hmm... It would be easily solved by adding another shade to the letters, but that might run counter to the somewhat-flat aesthetic otherwise in use. Looking again at the logo prompted me to note something else: the lower curve of the heart is a little angular to my eye. However, after a little experimentation I'm not sure of how to improve it without changing the apparent shape of the curve. I won't retouch the logo right now because I think there's more important things to do, like finding the game design. I say finding because I haven't found it yet, I'm still prototyping stuff. The map prototype has failed so far and I'll leave it out for now. Instead, I'm figuring out another system to go between battles. The combat mechanic should still be this one, though. Between battles, I'm searching for a system that can express a lot about relationships and love. The map was buggy, complicated and didn't elegantly express that. I think I found a better way: an FTL-like map where you make decisions while having to consider the opinion of your love interests. More details soon. I won't retouch the logo right now because I think there's more important things to do, like finding the game design.